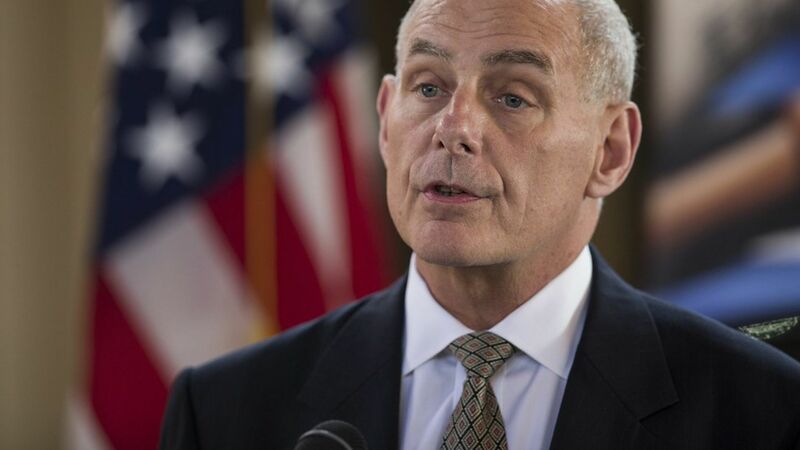 Homeland Security Secretary John Kelly vowed that there will be "no mass deportations" and no use of U.S. military in immigration enforcement, per AP. His comments come during his trip to Mexico with Secretary of State Rex Tillerson. The puzzler: During his meeting with CEOs in the manufacturing industry earlier today, President Trump referred to his administration's removal of unauthorized immigrants as "a military operation" to get "really bad dudes out of this country."